ELISE capris combine the timeless, stylish designs and quality of our existing capri range with our popular monochrome print fabric. Made from figure hugging SUPPLEX® fabric these capris hold you tight, feel super comfortable and look amazing on. 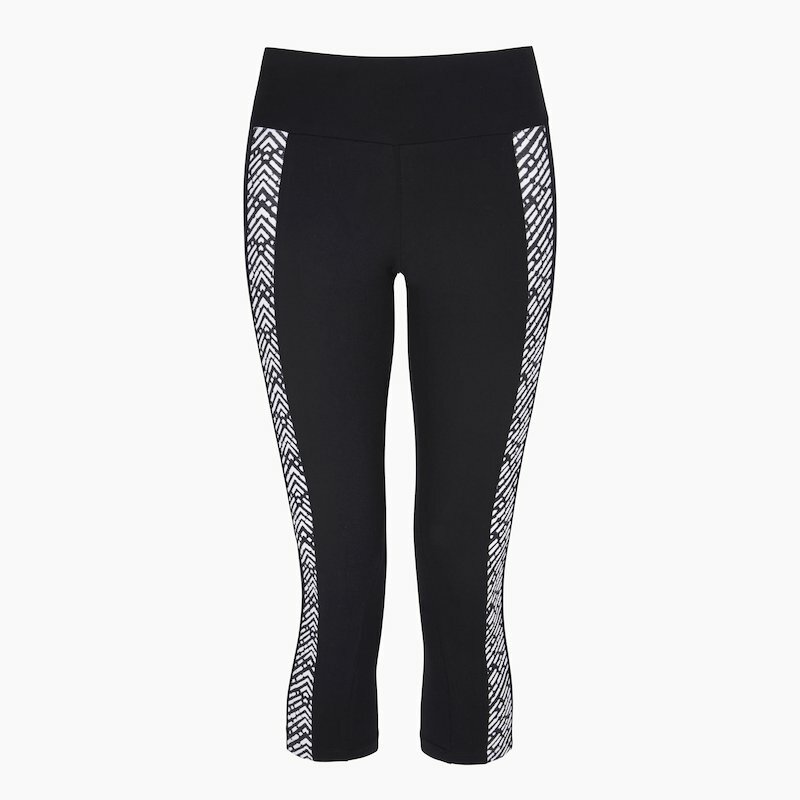 Super stretchy for freedom of movement, flat leg seams for comfort and textured black & white panels for a standout look. These multi-performance capris are perfect for anything active, inside the gym or out - running, boxing, cycling, climbing and gym classes. "Bought these for the gym and have also worn for running. They fit like a glove and don’t move once on. They get tested a lot and are still as good as new after many washes. Great length and I love the zigzag pattern on them. Highly recommend"